Really the presence of Cetiosaurus as an external specifier for Ornithischia shouldn’t matter in the medius vs. oxoniensis issue. After all, medius is a saurischian too, so the definition would still hold. The same goes for any Saurischia, Sauropodomorpha or Sauropoda definitions based on medius. Cetiosauridae is a different story, of course. Surely you agree that it’s good for important clades to be anchored on adequate material? 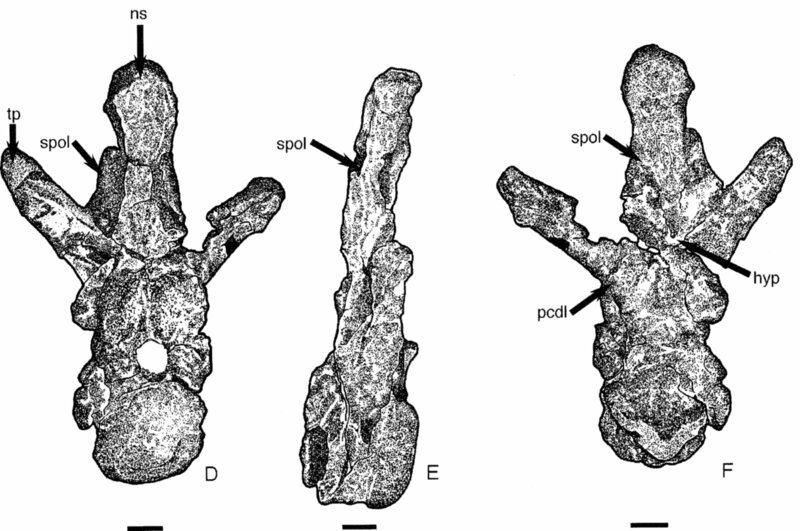 Check out this figure again: are you even 100% certain that it’s a saurischian? Does it matter? We all know what Ornithischia means, and if the external anchor turned out to be, say, an ornithopod, I doubt many palaeontologists would declare Stegosaurus not to be ornithischian any more. They’d just fix the definition. Formal definitions usually follow existing informal ones: you don’t define Ornithischia unless you’ve already identified a bunch of material that you think forms a natural group. The formal definition is useful because it clarifies the boundaries of the informal one, but if it doesn’t match, the problem is not in the informal definition. Definitions can’t be wrong per se, but they can be inconsistent with their users’ intent, which is pretty much equivalent. You’re missing the point – I am saying that as Cetiosaurus -has been- used as a specifier the stability of the genus as a whole is important in this respect (as well as in many others – this was just a small part of my response). Mike, I’m sure we agree clades should be anchored on adequate material, it’s just the definition of adequate we could disagree on. In the case of a specifier for Sauropoda, Sauropodomorpha/Theropoda or Saurischia/Ornithischia, all we have to do is be able to say the material is a member of the larger clade. Doesn’t matter if it’s Sauropoda indet., it would still get the job done. Am I 100% certain C. medius’ type series is a saurischian? Well, no since I don’t study most of the other clades a large Mesozoic reptilian vertebra could derive from. 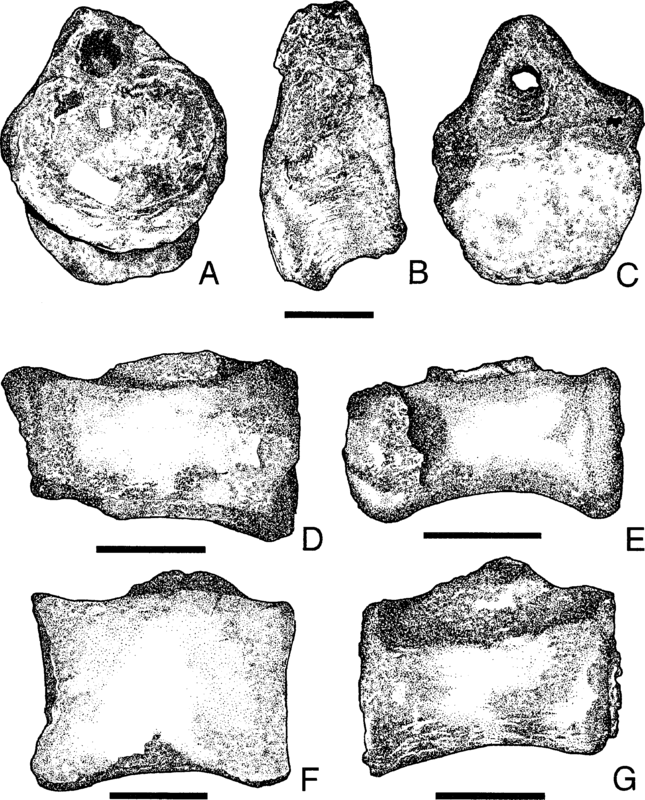 It’s certainly not an ornithopod, as it differs from Iguanodon as described by Norman (1980) in various ways, most obviously only the first one or two caudals of Iguanodon are wider than tall, and have more dorsally placed transverse processes than OUMNH J13693. As for other large ornithishians, ankylosaurs and stegosaurs don’t ever elongate their distal caudals as much as OUMNH J13702 as far as I know. So this leaves marine reptiles like plesiosaurs, mosasaurs and ichthyosaurs. Plesiosaurs and ichthyosaurs have shorter disk-like centra unlike the elongated mid caudal vertebrae of C. medius, right? And mosasaurs have procoelous vertebrae, correct? Don’t get me wrong, I agree Cetiosaurus should be changed to have oxoniensis as its type species instead, and that one of the reasons that is important is for stability of Cetiosauridae. I’m just saying it doesn’t matter as far as the definitions of those larger clades (Sauropoda, etc.) are concerned. « New thunder from Down Under!